Madhouse is an entertaining horror movie. The plot is: Clark Stevens (Leonard) is hired at Cunningham Hall, a mental facility. It's run by Dr. Franks (Henriksen). At first Stevens suspects nothing, until he sees ghosts. 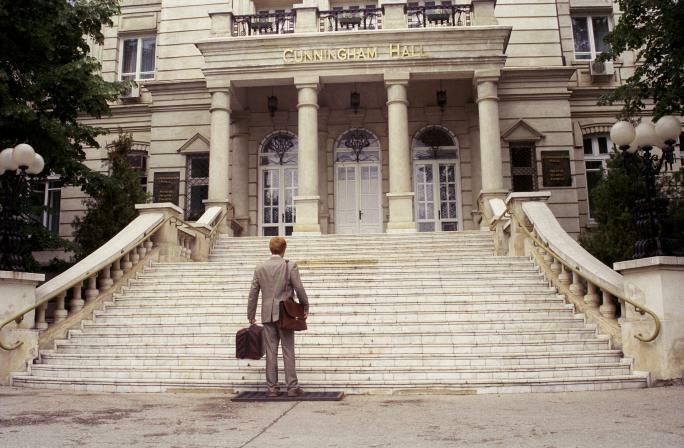 He wants to find out more about this, but the "red tape" at Cunningham Hall intrudes upon him. He realizes one more secret about Franks and then all hell breaks loose. Or does it...? Leonard does a really good job as Clark, you feel for him. Henriksen doesn't really get to do much, but his presence is welcome. Natasha Lyonne makes a cameo appearance as a mental patient. She doesn't advance the plot. The gore scenes are exciting, but it's mostly a psychological thriller. 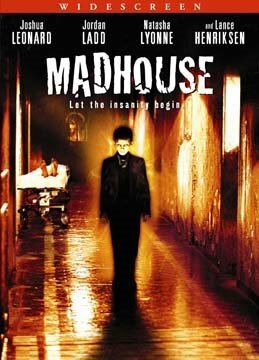 Madhouse shouldn't die a quick death at video stores. Check it out.